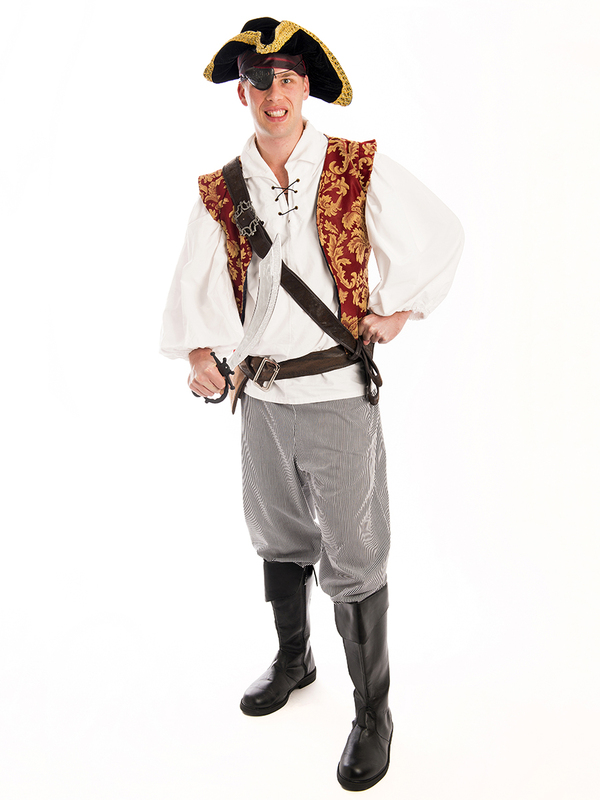 Explore the high seas in this plundering pirate costume for hire! Great dress up idea for a Movies or Under the Sea party theme. 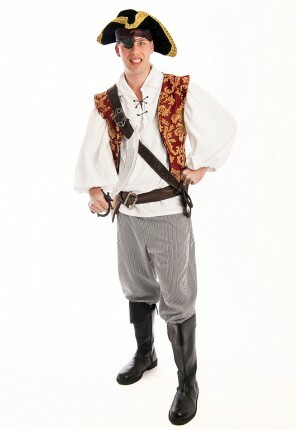 Pirate sword props can be purchased in store.